JoS. A. Bank Clothiers Gift Cards are perfect for every occasion and are shipped via UPS. Gift Cards can be redeemed in any JoS. A. Bank store, on-line at www.josbank.com or through the catalog at 1-800-285-2265. 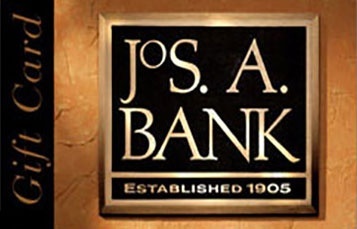 To locate a store near you visit www.josbank.com and click on the Store Locator tab atop the home page.